According to the U.S. Census Bureau, 20- to 29-year olds have the highest moving rate of any age range. This is primarily due to the prevalence of new marriages between young couples. Because a marriage combines both people and possessions, young couples often have twice the amount of property and stress to manage. Advance planning, proper packing and organization can make the move go more smoothly, enabling the couple to enjoy the honeymoon a little longer. Don’t procrastinate; start up to six weeks before the moving date. Waiting until the last minute dramatically increases stress on everyone. As soon as you decide to move, begin taking inventory of everything in your home and have your spouse do the same. People often have more than they realize. Writing down your home inventory can help you to better understand your volume and valuation. Be sure to include wedding gifts such as china, crystal, electronics and other home items that might be stored elsewhere. Make a list of the items you’d like to keep and compare it with the list your spouse has made. At a glance, you’ll see where belongings overlap. You can save a tremendous amount of time by getting rid of duplicate items before you begin packing. Decide what to throw away or sell. For homeowners, this will not only prepare you for moving, but will also clear out the clutter and make your home “show” better to prospective buyers. When using a professional mover, you’ll also save money if you have fewer belongings to be packed and moved. Compare your new space with the space in your existing residence. Try to visualize where you’ll place specific pieces of furniture to help you decide whether you’ll sell, give away or store pieces that won’t fit. It is a good idea to keep a list of all the phone numbers and contact names of representatives at the moving company, the real estate office or apartment leasing company, as well as the utility companies in both your current and future residences. Consider hiring a professional mover. While in the past it may have been fun to bribe friends to help with pizza, the time comes when a professional mover makes a world of difference — and lessens the stress on your relationship. A professional mover will come to your home and walk through the move with you beforehand. The mover will estimate the cost, discuss packing and unpacking options with you, work out a mutually convenient schedule and make sure all your moving questions are answered. A professional moving company also assumes responsibility for any breakage, provided it handles the packing (an important consideration when moving valuable wedding gifts such as china and crystal). 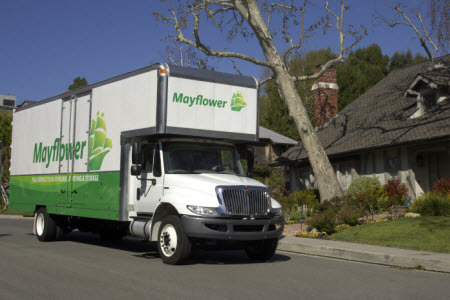 Mayflower’s movers are trained in packing techniques and have specially designed materials and boxes for china and crystal, all of which help to ensure the safe transportation of belongings. Give yourself a one-week break before going through your belongings again with a more critical eye. Once you get used to the idea of parting with certain items, it may be easier to make a final decision. Create a step-by-step timetable for packing and moving. 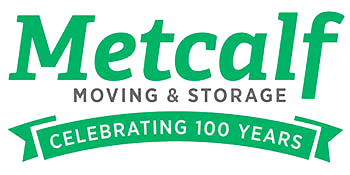 Your Mayflower representative can give you a detailed calendar to follow to make your move easier or you can visit our Packing Tips page for information.